HF sporadic. Aurora to 45°. Noise S20-S30. Aur Lat (Auroral Latitude): Indicates lowest latitude from the current Aurora Activity measurement. Text color coded for low activity, hi-latitude, & mid-latitude. A solar flare is a violent explosion in the Sun's atmosphere with an energy equivalent to tens of millions of hydrogen bombs. Solar flares take place in the solar corona and chromosphere, heating plasma to tens of millions of kelvins and accelerating the resulting electrons, protons and heavier ions to near the speed of light. They produce electromagnetic radiation across the electromagnetic spectrum at all wavelengths from long-wave radio to the shortest wavelength Gamma rays. Most flares occur around sunspots, where intense magnetic fields emerge from the Sun's surface into the corona. The energy efficiency associated with solar flares may take several hours or even days to build up, but most flares take only a matter of minutes to release their energy. Solar flares are classified as A, B, C, M or X according to the peak flux (in watts per square meter, W/m2) of 100 to 800 picometer X-rays near Earth, as measured on the GOES spacecraft. ( B-Class is considered very minor, C-Class is considered minor, M-Class is considered moderate to strong and X-Class is considered strong to major.) Each class has a peak flux ten times greater than the preceding one, with X class flares having a peak flux of order 10-4 W/m2. Within a class there is a linear scale from 1 to 9, so an X2 flare is twice as powerful as an X1 flare, and is four times more powerful than an M5 flare. The more powerful M and X class flares are often associated with a variety of effects on the near-Earth space environment. Solar Flares are many times responsible for ejecting plasma outwards into space, sometimes towards Earth. This is known as a Coronal Mass Ejection or CME. The data is collected by a sensor onboard the GOES-15 spacecraft. The GOES X-ray flux plot contains 1 minute averages of solar X-rays in the 1-8 Angstrom (0.1-0.8 nm) and 0.5-4.0 Angstrom (0.05-0.4 nm) passbands. A solar radiation storm, which is also sometimes called a solar energetic particle (SEP) event, is much what it sounds like: an intense inflow of radiation from the sun. Both CME's and solar flares can carry such radiation, made up of protons and other charged particles. The radiation is blocked by the magnetosphere and atmosphere, so cannot reach humans on Earth. Such a storm could, however, harm humans traveling from Earth to the moon or Mars, though it has little to no effect on airplane passengers or astronauts within Earth's magnetosphere. Solar radiation storms can also disturb the regions through which high frequency radio communications travel. Therefore, during a solar radiation storm, airplanes traveling routes near the poles – which cannot use GPS, but rely exclusively on radio communications – may be re-routed. Solar radiation storms are rated on a scale from S1 (minor) to S5 (extreme), determined by how many very energetic, fast solar particles move through a given space in the atmosphere. At their most extreme, solar radiation storms can cause complete high frequency radio blackouts, damage to electronics, memory and imaging systems on satellites, and radiation poisoning to astronauts outside of Earth's magnetosphere. These charged particles travel much faster than a CME plasma cloud and may reach Earth within half hour to several hours after a strong solar flare. Not all flares will produce a Radiation Storm. The sun is a big mass of energy. The sun produces high energy protons, and the solar wind carries these protons throughout our solar system. However during solar flare activity, energetic protons are blown violently outwards, sometimes towards earth. Energetic protons can reach Earth within 30 minutes of a major flare's peak. During such an event (big ones are also known as Solar Proton Events), Earth is showered with highly energetic solar particles (primarily protons) released from the flare site. When these protons arrive at Earth and enter the atmosphere over the polar regions, much enhanced ionization is produced at altitudes below 100 km. Ionization at these low altitudes is particularly effective in absorbing HF radio signals and can render HF communications impossible throughout the polar regions. This effect is called Radio Blackouts. This type of event is also known as a Polar Cap Absorption Event or PCA. This data provides updated information regarding low and high energy proton levels currently streaming past Earth. The data is measured via a sensor on board the GOES-13 spacecraft. The K-index is a code that is related to the maximum fluctuations of horizontal components observed on a magnetometer relative to a quiet day, during a three-hour interval. The conversion table from maximum fluctuation (nT) to K-index, varies from observatory to observatory in such a way that the historical rate of occurrence of certain levels of K are about the same at all observatories. In practice this means that observatories at higher geomagnetic latitude require higher levels of fluctuation for a given K-index. The Estimated Planetary K index (Kp) which is an average of several K-indices) is updated every 3 hours and represents the maximum observed Kp Index within the previous 3 hour sampling period. The Kp index is one of the most common indices used to indicate the severity of the global magnetic disturbances in near-Earth space. A Kp index of 5 or higher indicates a geomagnetic storm is in progress. NOAA reported value from 0 to 10++. Indicates how strong the F-Layer ionization is in the polar regions. Higher values cause auroral events (including northern/southern lights) to move to lower latitude. The solar wind is a stream of charged particles which are ejected from the upper atmosphere of the sun. It consists mostly of high-energy electrons and protons that are able to escape the sun's gravity in part because of the high temperature of the corona and the high kinetic energy particles gain through a process that is not well understood at this time. The two most commonly referenced data points is the Solar Wind and Bz component. During times of relaxed solar activity, the solar wind usually streams past Earth at a speed of 250 km/s to 400 km/s. When a solar flare takes place, it can sometimes eject material into space and towards Earth also known as a Coronal Mass Ejection. The solar wind speeds carried past Earth by these shockwaves can sometimes exceed 700-800 km/s or even higher. The greater the increase, the stronger an impact to Earths geomagnetic field can be. Phi is the angle of the interplanetary magnetic field that is being carried out by the solar wind. Phi is measured in the GSM (geocentric solar magnetospheric) coordinate system. In this system the X-axis points from the Earth to the Sun and the Z-axis is pointing along the direction of the Earth's north magnetic pole. This puts the Y-axis roughly pointing to the left as one looks at the Sun from the Earth. Phi is the angle made by the field in the XY plane. This means that Phi would be 0 deg if it were pointing at the Sun and 180 deg if it were pointing from the Sun to the Earth. Sudden and rapid changes in the Phi angle in conjunction with increased solar wind speeds and Bz fluctuations is common during a CME impact. The temperature of the solar wind is measured in Kelvin units. The solar wind leaves the Sun’s corona at about one million degrees Kelvin. On its way to the Earth, expansion occurs and the solar wind cools. Even so, temperatures of a few hundred thousand degrees are common. A rise in solar wind plasma temperature is likely during an incoming interplanetary shockwave. Solar flares can sometimes propel large quantities of plasma (containing electrons and protons) violently outwards and into space. This is known as a Coronal Mass Ejection (CME). When a CME is directed towards our planet, the solar wind may carry a dense cloud of energetic protons past Earth and this can help contribute to increased geomagnetic activty around our polar regions. The denser the plasma, the more energetic it is said to be. Solar wind data is collected by the Advanced Composition Explorer, also known as the ACE Spacecraft. It is strategically positioned between the Sun and Earth at a distance of 1.5 million kilometers away from our planet near the L1 Lagrange point. Because the spacecraft is located in between the Sun and Earth, it can be used as an early warning system for a pending incoming CME impact within a few hours. These shockwaves or impacts can sometimes lead to geomagnetic storming around Earth. A measure of the North/South orientation of the interplanetary magnetic field measured perpendicular to the ecliptic plane. When Bz is southward, or antiparallel to the Earth's magnetic field, geomagnetic disturbances become much more severe than when Bz is northward. The Bz component represented by the red line is the current condition of the Sun's magnetic field, also known as the interplanetary magnetic field (IMF). The Sun's magnetic field is huge! It goes beyond any of the planets. The magnetic field of the Sun is carried throughout our solar system via the solar wind. The solar wind and magnetic field are twisted into a spiral by the Sun's rotation. Earth also has a magnetic field which forms a bubble around our planet. This is called the Magnetosphere. This bubble deflects the solar wind. Earth's magnetic field comes into contact with the sun's magnetic field in a place called the magnetopause. Here is the catch. Earth's magnetic field points north. When the sun's magnetic field points south, also known as southward Bz, it may cancel Earth's magnetic field at point of contact. When the Bz is south the 2 fields link up. This basically opens up a door that may allow energy from the solar wind to reach Earth's atmosphere. The further south the Bz points and the longer the duration, the greater the likelyhood for an increase in geomagnetic activity. In the space weather world, a Bz of -10nT or more can be referred to as sharply south. Scientists track solar cycles by counting sunspots -- cool planet-sized areas on the Sun where intense magnetic loops poke through the star's visible surface. Counting sunspots is not as straightforward as it sounds. Suppose you looked at the Sun through a pair of (properly filtered) low power binoculars -- you might be able to see two or three large spots. An observer peering through a high-powered telescope might see 10 or 20. A powerful space-based observatory could see even more -- say, 50 to 100. Which is the correct sunspot number? where R is the sunspot number; g is the number of sunspot groups on the solar disk; s is the total number of individual spots in all the groups; and k is a variable scaling factor (usually <1) that accounts for observing conditions and the type of telescope (binoculars, space telescopes, etc.). Scientists combine data from lots of observatories -- each with its own k factor -- to arrive at a daily value. A measure known as the solar flux is used as the basic indicator of solar activity, and to determine the level or radiation being received from the Sun. The solar flux is measured in solar flux units (SFU) and is the amount of radio noise or flux (bat is emitted at a frequency of 2800 MHz (10.7 cm). The Penticton Radio Observatory in British Columbia, Canada reports this measure daily. The solar flux is closely related to the amount of ionization and hence the electron concentration in the F2 region. As a result it gives a very good indication of conditions for long-distance communication. The figure for the solar flux can vary from as low as 50 or so to as high as 300. Low values indicate that the maximum useable frequency will be low and over all conditions will not be very good, particularly on the higher HF bands. Conversely. high values generally indicate there is sufficient ionization to support long-distance communication at higher than-normal frequencies. However, remember that it takes a few days of high values for conditions to improve. Typically values in excess of 200 will be measured during the peak of a sunspot cycle with high values of up to 300 being experienced for shorter periods. Good indication of the F layer ionization (layer that gives us most of our DX on HF). The higher the number, the greater the level of ionization is, and the higher the frequency. Measured three times daily, and the last received value is reported. Note that NOAA recorded SFI for the day is the 2nd (or middle) of these readings, and may be different than the last recorded reading displayed on the banners. SFI does correlate to 304A. 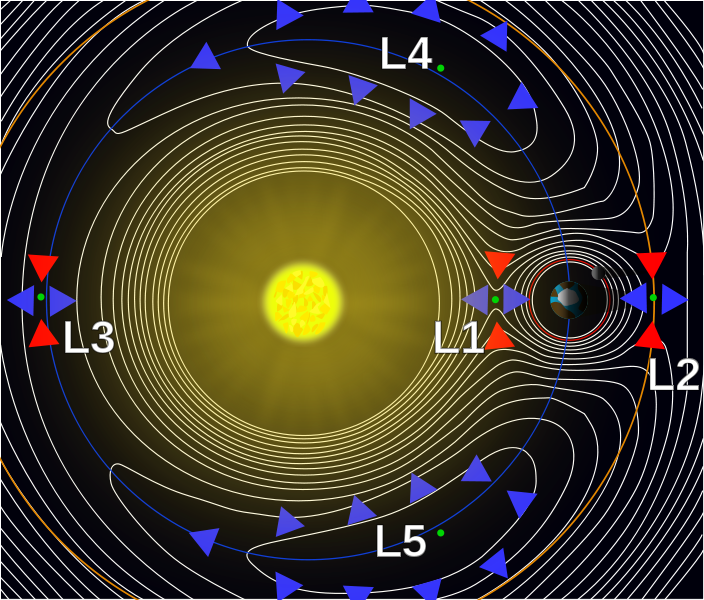 The electron flux observed in the vicinity of a geostationary orbit presents a pattern of sudden decrease and increase in the flux, which occurs when the geomagnetic field is restored after being disturbed by solar activity. At the point in time when the field is being restored, the electron flux increases more than its average and forms electrons with energy greater than or equal to 1MeV. As these particles cause serious damage to satellites, they are called “Killer Electrons” and have drawn widespread attention. Accordingly, the observed data on these particles provided by the GOES satellite have been utilized for prediction and alert systems, and also for further research into lowering the damage caused to satellites. NOAA reported value from 0 to unknown. Density of charged electrons in the solar wind. The higher the numbers (>1000), the more the impact the ionosphere. Primarily impacts the E-Layer of the ionosphere. 304A: Solar radiation at 304 Ångström (30.4 nm), emitted primarily by ionized helium in the sun's photosphere. One value measured by the Solar Dynamics Observatory, using the EVE instrument, and the other, using data from the SOHO satellite's SEM instrument. Responsible for about half of all the ionization of the F layer. 304A does correlate to SFI. Calculated value. Indicates how much noise (in S-units) is being generated by interaction between the solar wind and the geomagnetic activity. A more active and disturbed solar wind, the greater the noise. OVATION-Prime Model (Aurora Prediction) Updates Periodically. Propadex is updated four times per hour and eight hours of history is shown on the graph. For example, if the Propadex shows +110, it means that the maximum usable frequency is 1.10 MHz higher than the 60 day average for this exact same time of day.